Happiness is ours, all ours. 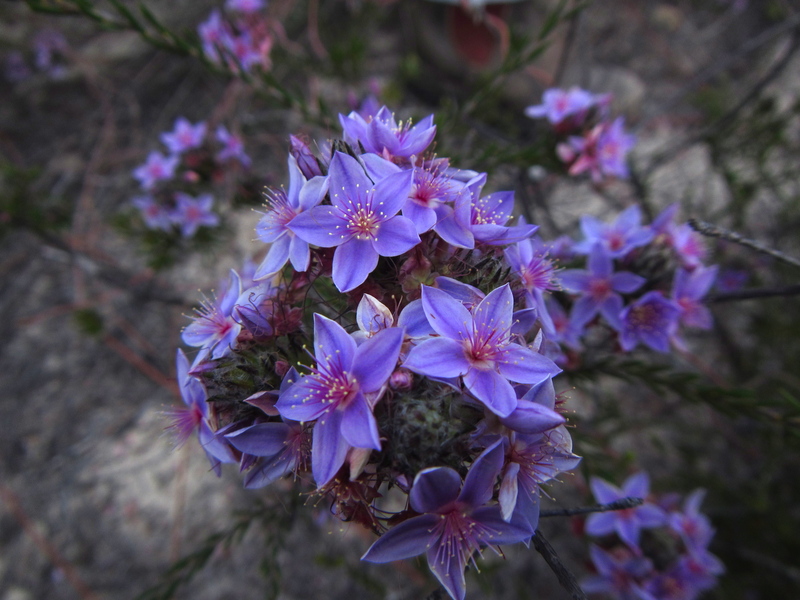 These beautiful flowers are called Calytrix brachyphylla and can be found in Eneabba. I feel great. Amazing… Everything feels just right. About a month ago, I earned a promotion at work, and while it has been really challenging, it has also engaged me in an entirely new way that I’m embracing wholeheartedly. There is so much to absorb, but it’s truly an inspirational organisation. Next week Mike and I are moving into our own place in the West end of the city. We are both like kids in a candy store thinking about all the possibilities of having a gym, and our own space to spread out and be comfortable. It’s been nearly two years that we’ve lived in this house in East Perth, but the market has changed and we can now afford to live in our own (Perth is generally expensive). I’ll still be able to walk to work, as it will only be two blocks away. The best part of the move (apart from the much desired privacy) is our proximity to Kings Park. We will now be only minutes walking distance from my favourite place in Perth. Redterrain on Sound Cloud – You’ll find fresh music that I’m listening to here. This entry was tagged australia, Kiiara, music, Perth, Travel, West Perth, Western Australia. Bookmark the permalink. Hey Elaine, thank you… 🙂 I hope you’ve been ok the past couple of weeks. I’ve been loving your food on my feed. Morning Judy, absolutely. It’s been a really good couple of months. Gorgeous flowers. Congratulations on the promotion and new digs. Hello Hilda, thank you for popping around. Yes those purple flowers are one of my favs…. The circular patterns they make are really beautiful… and the colours are something out of a dream.